King of Hearts - Deputy Cam McKay deals with a murder/suicide case on Valentine's Day. 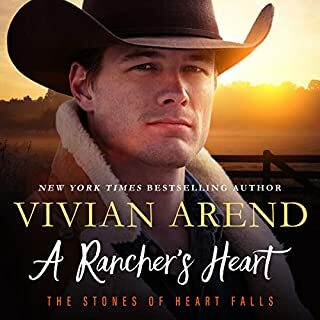 Rough Road - Chassie, Trevor, and Edgard Glanzer spend a romantic weekend away from the ranch and kids, celebrating their anniversary...only to return home to face their biggest challenge yet. Would you consider the audio edition of Short Rides to be better than the print version? 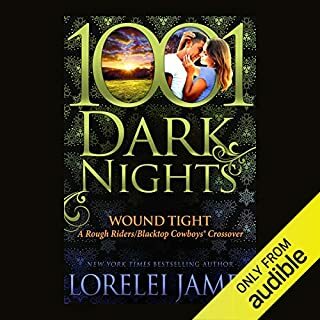 Love Lorelei James and Short Rides is an awesome update to the Rough Rider's series! It was awesome to get a look into the lives of the characters. Along with real life problems, the stories kept me focused and really into the series. Another trophy buckle in the series! I usually like her books but this just felt like she needed to fill a page. Yikes! I loved the epilogue to rough, raw, and ready. however, the birth stories in the last half of the book were too intense for a romance novel. This WILL CONTAIN SPOILERS if you are not familiar with the Rough Riders series. 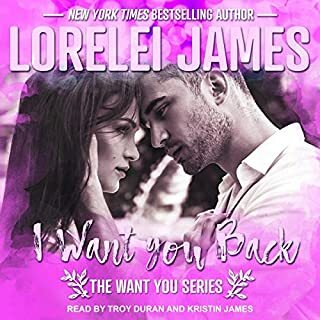 Please do not read any further if you plan on listening to the series. Newly listeners, this will is not the place to start. This trilogy will not give you enough information about the characters past to be understandable to you. These are three short novellas in one book. We get to check in with the Carson/West Clan and hear a little bit more about their extracurricular activities and any children that they may have had since their introductions. It is a nice "checking in" with old friends. If you read the series you know their stories & this will only add to your thought about the characters as you have imagined them. I bought this book in addition to the entire series. Again, it is not a standalone nor is it meant to be one. Rebecca Estrella continues to be the voice of Rough Riders. She is consistent though a bit robotic when describing the mature themes. I find that listening at 1.25 or 1.5 times (just a little faster) makes the performance better for me to listen to. Notes: strong language, mature themes for the 18+-year-olds. Author/Narrators feel free to use this review on social media. I'd appreciate a shout out!